Korean singer and actor who finished second on the second season of Produce 101. 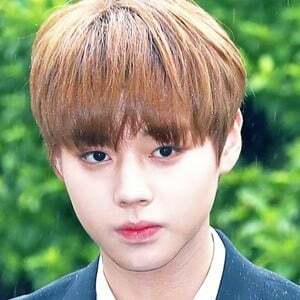 He went on to become a member of the K-pop group Wanna One. He began his career as a child actor, appearing in musicals like Peter Pan in 2007 and Radio Star in 2010. He made his television debut in the MBC drama Kimchi Cheese Smile. He would then star in SBS's The King and I. He studied at the School of Performing Arts Seoul. Hwang Min-hyun also competed on the second season of Produce 101.